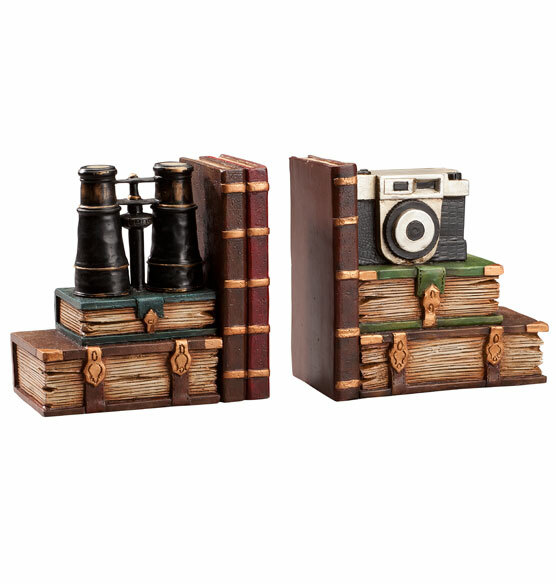 This pair of Explorer bookends pays homage to those with an adventurer’s heart. Crafted from sturdy resin, the highly detailed decorative bookends will appeal to travelers, birders, photographers and book lovers alike. 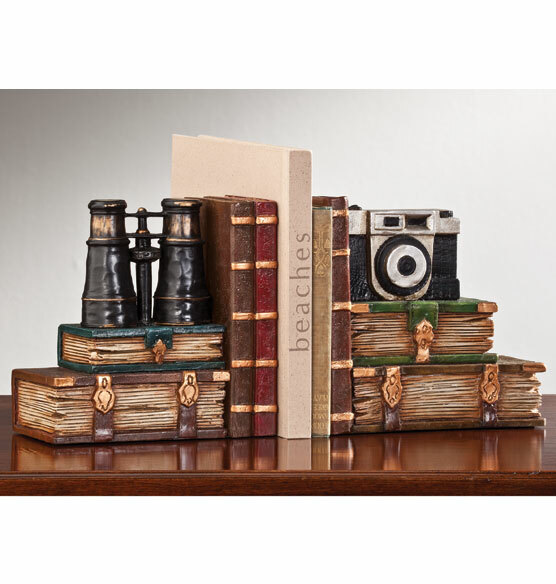 Perfect for displaying on a shelf with scrapbooks, photo albums and travel guides. Great gift idea! looks very good and the price is great! BEST ANSWER: Thank you for your question. They are made from sturdy resin. We hope this information will be of help to you.